For many colleges the point at which it differentiates itself is the quality of its faculty and its curriculum. Historically, the only way for a college to expose its alumni to its faculty was to get the alumni back to campus on homecoming weekend. For larger or more globally-based schools, this was a weak but, at the time, unavoidable option. A new alternative is now available: SPOCs and MOOCs can be the basis of a university or college effort at improving alumni engagement through exposure of the school's superior faculty. Create a series of MOOCs for public consumption (as a basis of a marketing campaign for a specific program in the college or university, as a service to the community in which the college is located, or whatever). Socialization: Structure the class so that students both work and interact with other students frequently and deeply. More intense assessment: Structure the class so that the student gets exposed to feedback from the faculty, either in a project-based assignment or a constructivist pedagogy. Informality: The tone of the course should be similar to that of a small seminar in which both student and teacher are seen as people who have unique personalities, interests, and lives. As such, the tone of the course should be informal and allow for off-topic comments, discussion, and diversions. Behind-the-scenes: To give the student a "preferred, insider status" some extra video and interviews might be packaged for students (maybe for those who complete the course) that give them a behind-the-scenes action that went into either the making of the movie or the creation of the content of the course (i.e., the underlying research journey). 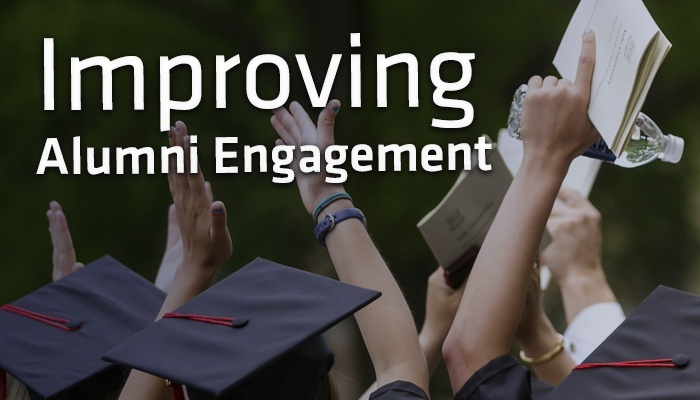 It is hard to conceive of another approach to improving alumni engagement that fits so well with a college’s purpose while also promising to be so effective. If you’re interested in discussing the possibilities for rolling out a series of SPOCs and MOOCs for your institution, please email Scott Moore or set up an appointment directly.